1. 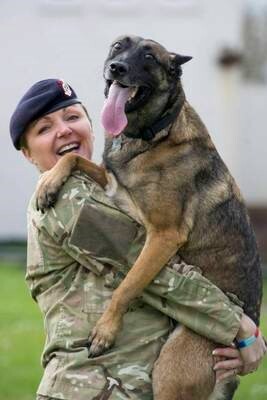 At least 10% of military working dogs suffer from canine PTSD, a disease that is also common amongst human soldiers that have come home from deployment. 2. 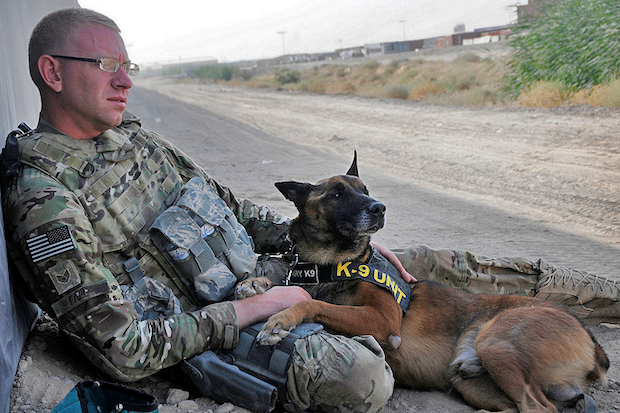 The concept of canine PTSD is very new. While behavioral issues in animals are not uncommon, this is different. 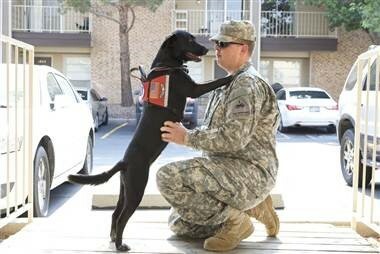 Interest in this subject rose when veterans began noticing strange behavior among dogs that had been exposed to gun shots, explosions, and other forms of combat violence in Iraq and Afghanistan. 3. 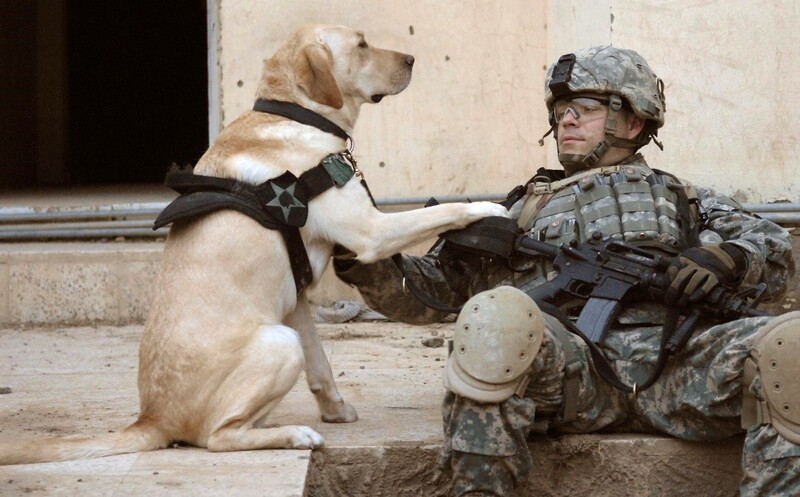 Dogs work alongside soldiers and experience the same things they experience. Therefore the existence of canine PTSD is not surprising. 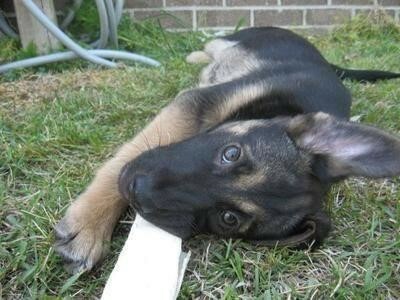 Dogs suffering from PTSD tend to try and avoid the work they used to be so enthusiastic about. 4. 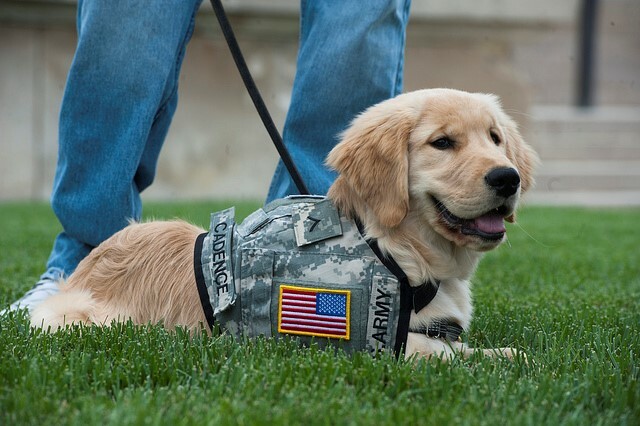 PTSD is not just an issue for working dogs—it can develop in civilian pups as well. The disorder can be seen in house pets that have experienced a traumatic event such as a car accident. 5. 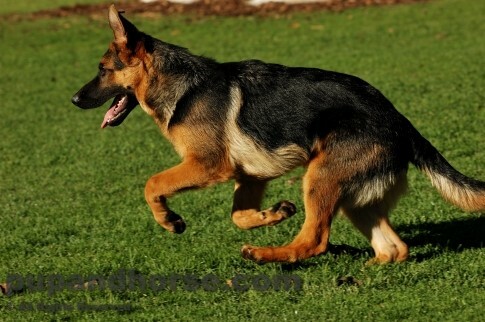 Symptoms of canine PTSD vary from dog to dog and can include: hyper-vigilance, avoidance of buildings or work areas where they were previously comfortable, changes in temperament such as irritability or timidity, and most noticeably, they stop performing the tasks they were trained to perform. 6. Dogs get flashbacks, often from environmental triggers that remind them of a traumatic event. 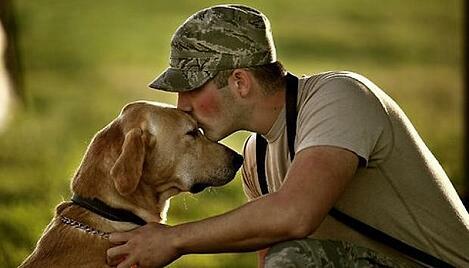 Dogs with PTSD are affected differently by these flashbacks. 7. 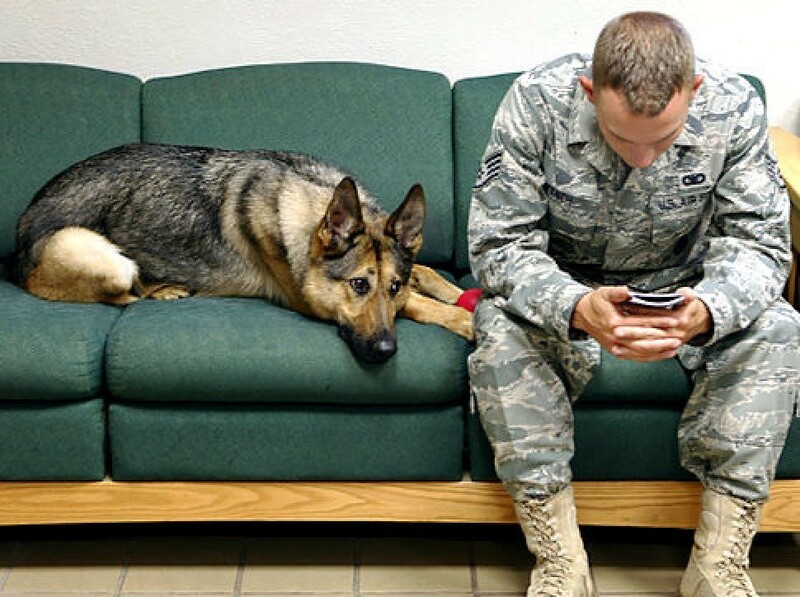 Playtime, downtime, and more love from humans are all ways to help relieve PTSD-ridden dogs. 8. Jaak Panksepp, animal scientist and psychologist at Washington State University, has done work that revealed rough, active play for even brief periods every day can help canines cope with their PTSD symptoms. This type of playing releases large amounts of brain-derived neurotrophic factors, which are associated with new neuronal growth. This neuronal growth causes the bad memories housed in a particular part of the brain to be replaced, allowing new, more positive memories to take hold. 9. Sometimes vigorous play is not enough. For more serious cases, “desensitization counterconditioning” can also be implemented and is often effective. It employs positive reinforcement. 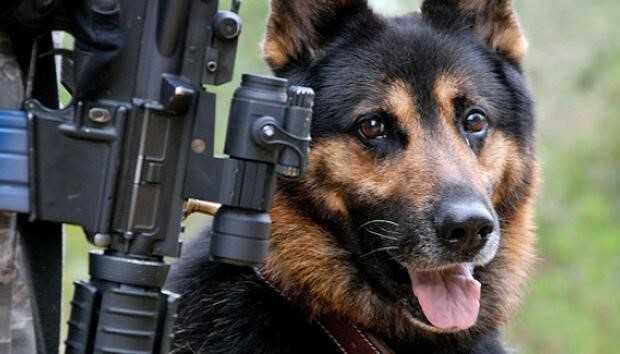 Dogs are distanced from a gunshot or other loud noise that acts as a trigger for them. They are then rewarded for not reacting. This is repeated and the dogs are brought closer to the source. This kind of training desensitizes the canines to the trigger and makes them associate the trigger and a non-reaction with treats. 10. 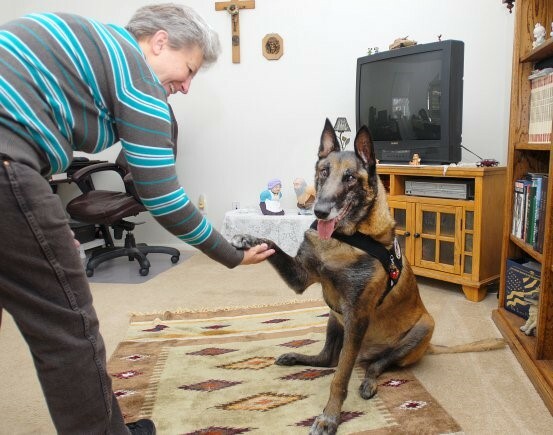 Long-term treatment is administered at a dog’s home base if they do not recover quickly. If symptoms persist after three months they are either assigned to different duties or retired. 11. 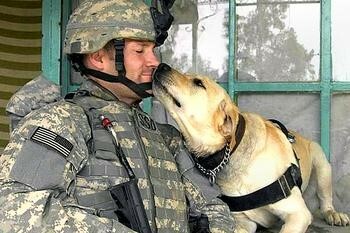 Dr. Nicholas H. Dodman, the director of the animal behavior clinic at the Cummings School of Veterinary Medicine at Tufts University, says that PTSD in dogs can be managed but never fully cured because “dogs never forget”. 12. 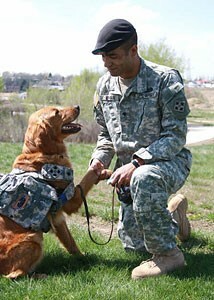 Dogs with PTSD can also volunteer with PTSD veterans. The two can offer each other support and can relate to one another.